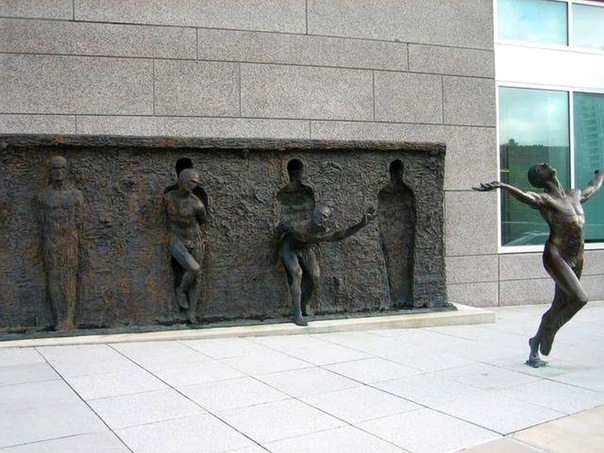 Mindless Mirth: Friday Is GREAT, But These Pictures Make It Even Better! 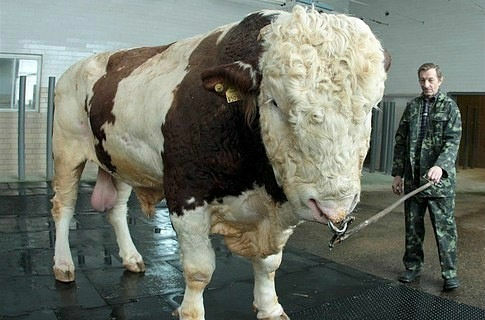 Friday Is GREAT, But These Pictures Make It Even Better! 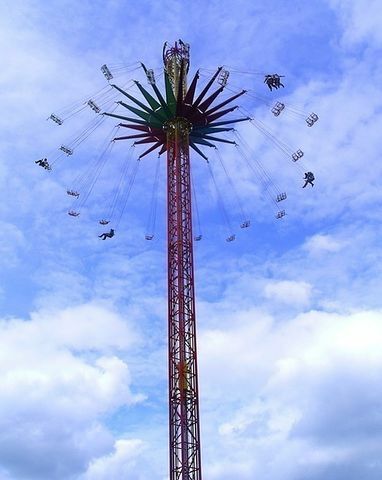 Highest carousel in the world…..117 meters! 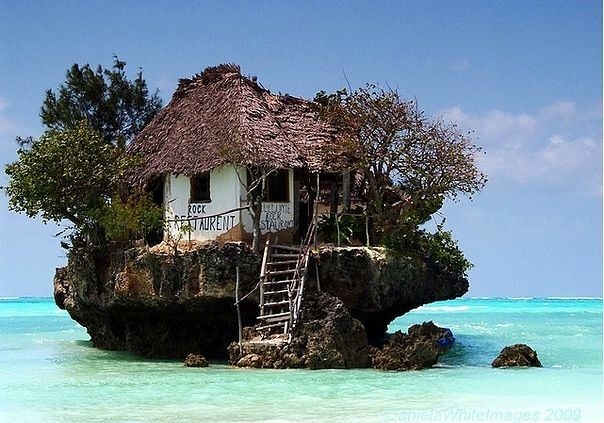 Restaurant on the east coast of Zanzibar. Depending on the waves you can get there by walking or a boat. 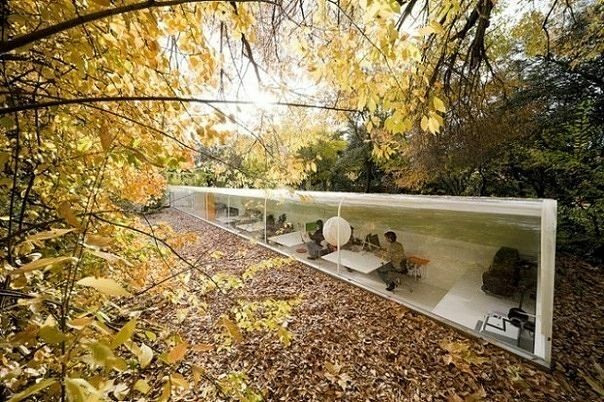 Offices of the Selgas Cano corporation in Madrid. 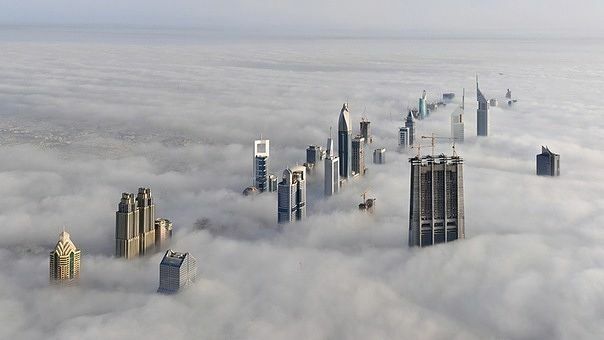 Dubai view from skyscraper Burj Halifa. 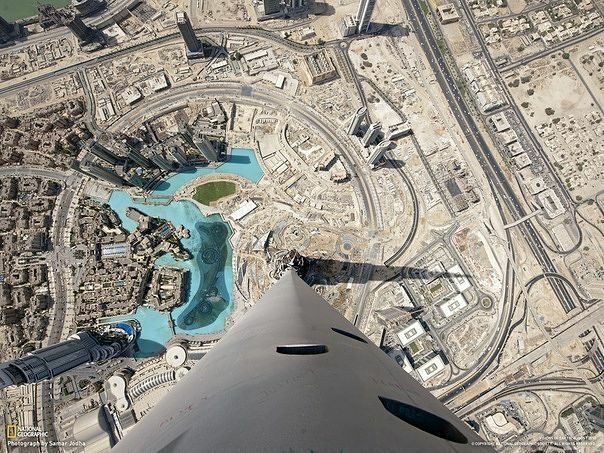 Height 828 metres, 163 floors. 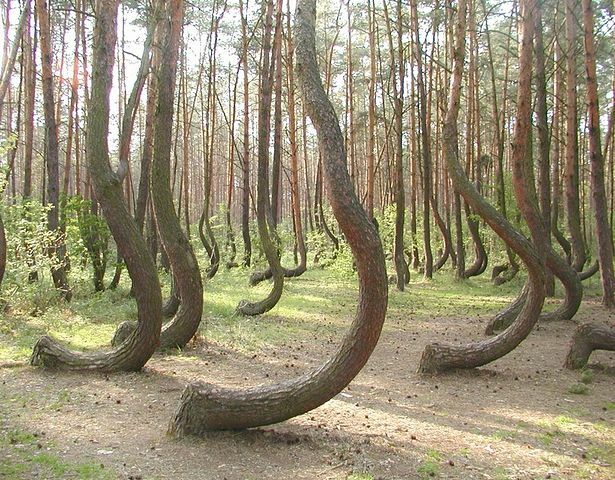 These trees grow in the Grifino forest of Poland. The reason for their curves is unknown. 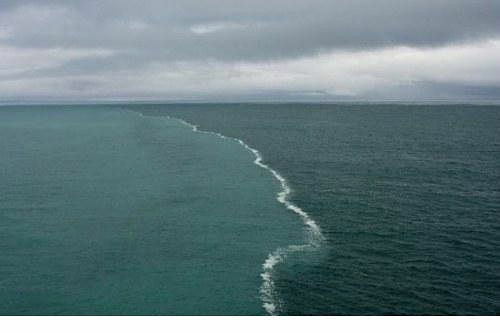 In the tourism filled city of Skagen you can see this incredible natural sight where the Baltic sea meets the North sea. The two different seas cannot be combined together thus creating this line. In the Chinese province of Shandun lies a bridge through Tziaochjoy. The bridge is more than 36 km long and has 8 driving lanes. 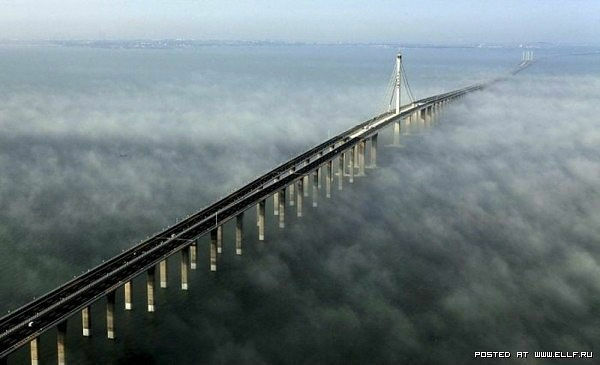 It is the longest sea bridge in the world. 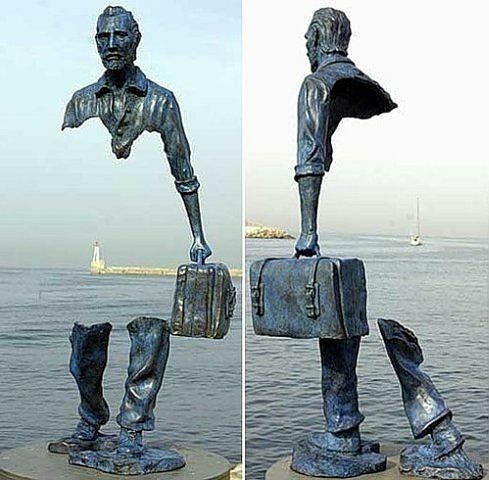 This statue was created by Bruno Catalano, it is located in France. 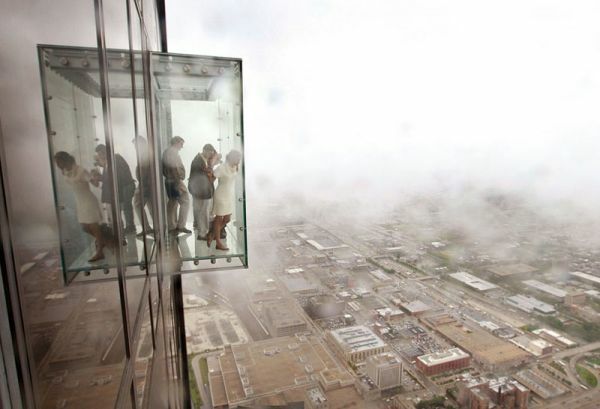 Balcony on 103rd floor from a Chicago skyscraper. 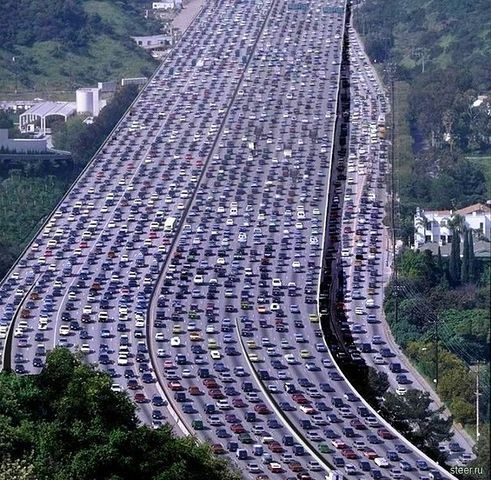 The longest trafic jam in the world was created in China. The length was 260 kilometers. Paris computer game store. 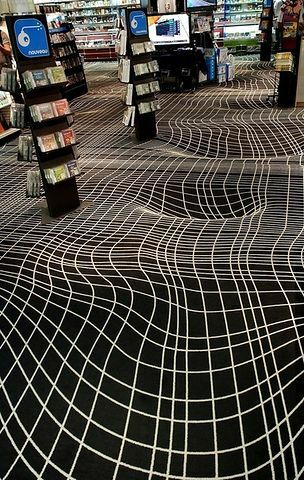 Actually, the painted floor is completely flat. Artist Marcus Levine creates his works of art with a hammer, white board, and nails. 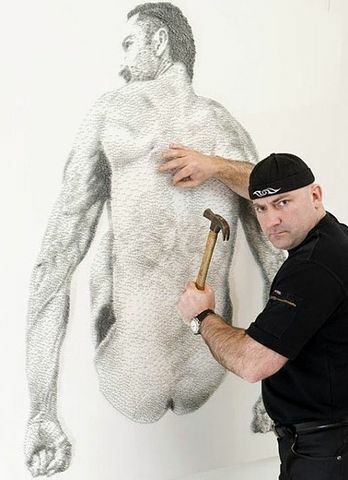 In the last series of his work shown in London, Marcus used more then 50, 000 nails. Favels, Brazil. 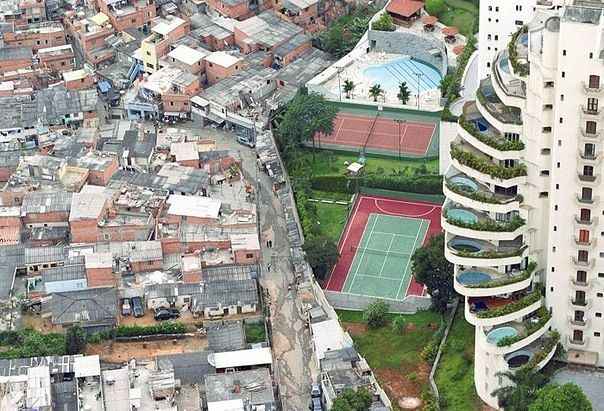 Border between the rich and the poor. Montana, USA. 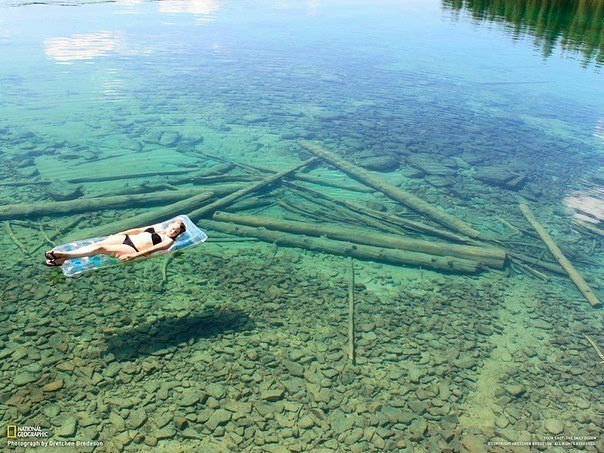 The water in this lake is so clear that it appears as though it’s very shallow. It’s actually over 100' deep. 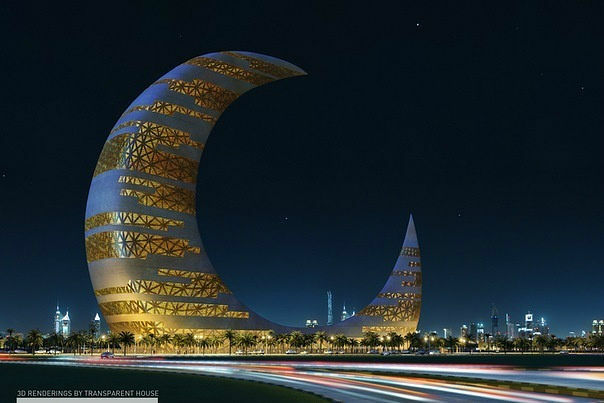 Skyscraper “Crescent Moon Tower” in Dubai. Lake above a lake. 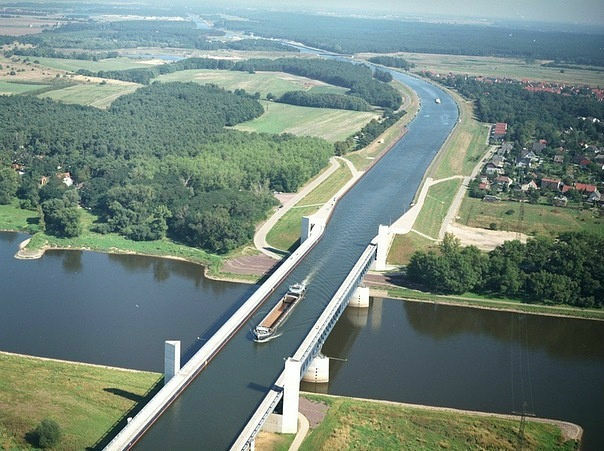 Magdeburg water bridge. 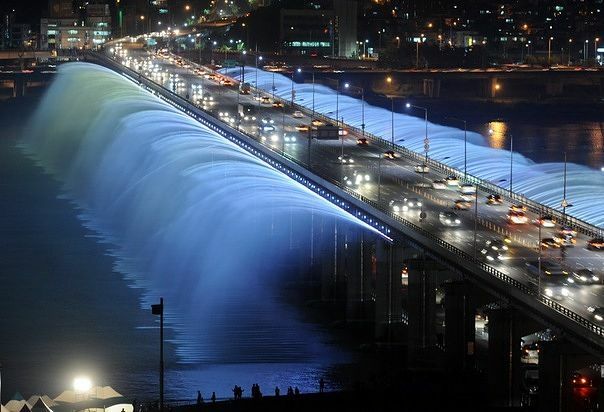 Vapro Bridge in Seoul, South Korea.